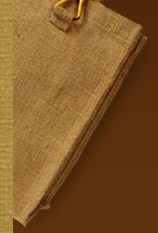 Jute, an eco friendly fiber produced from plants, is considered as one of the strongest and cheapest fibers. Commonly made up of cellulose and lignin, it is also known as Hessian. Its characteristics like high tensile strength, durability and sturdy nature make it perfect for varied applications that include production of gunny bags, mats, rugs, pouches, bags, etc. One of the fashionable works of art produced from this environmentally friendly material is Jute Box. These highly fashion boxes are green, cheap as well as visually appealing making them perfect to flaunt style. They have made a name for themselves in the handicrafts market in no time due to their blend of innovation and quality. There elegance along with high utility features makes people to turn to this completely fashionable works. These biodegradable jute boxes have gained momentum for two major reasons. One is their environmentally friendly nature. Varied environmental issues have been coming up worldwide creating serious issues for mankind. Hence, it is good to utilize these jute boxes that are quite biodegradable and eco- friendly than plastic as well as other materials. Other advantage of using these boxes is their course and tough nature. With high wear and tear resistance property, jute box assure to provide the user with long life performance than some of the other natural materials. Besides having high utility features, they are renowned for matchless charm. These Jute Boxes are beatified with endless beads, ribbons, sequins, lace, embroidery and various other embellishments. They can also be designed with the combination of other materials such as cotton and any another natural material. Available in varied combinations of colours, designs, handle types and styles, they are ideal to be used by any age group. Moreover, user can also use Jute boxes as incredible eco-friendly gifts for presenting to the loved ones.